Irtiqa: President of Kalmykia --- abducted by aliens? 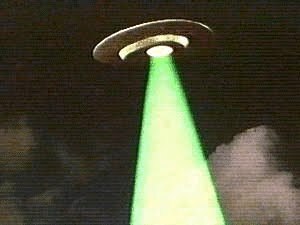 This is important so please pay attention: (from a BBC news story) The president of Kalmykia (a southern region of Russia), Kirsan Ilyumzhinov, has claimed that he was taken on an alien spacecraft. Why? Well...in an interview on a primetime television show, he said that aliens needed some samples. This actually makes sense as this is consistent with the desire of aliens to travel thousands of light years to pick up samples from some of Earth's eccentric personalities. May be it is for some alien reality show. Who knows? Actually there are guidelines for alien contact. If you are curious, you can find the set of post-detection protocols here (yes, it does mostly focus on SETI) and the list of people on the committee here. The chair of the committee is Paul Davies (he was our Science & Religion speaker in 2008). [Ilyumzhinov] has been president of Kalmykia, a small Buddhist region of Russia which lies on the shores of the Caspian Sea, for 17 years.